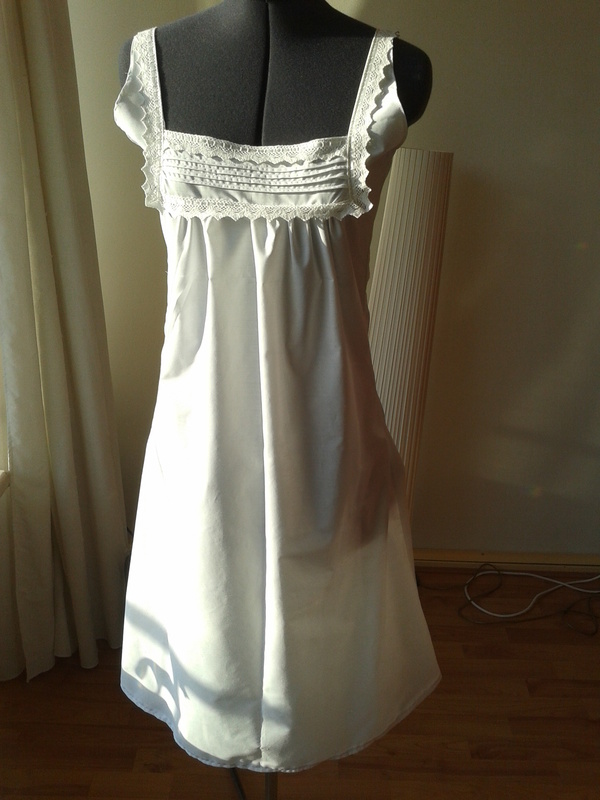 Next item done! 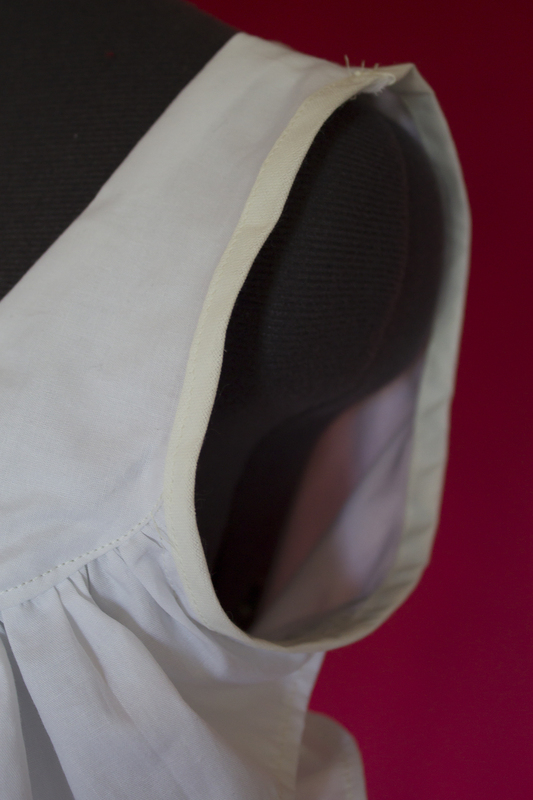 To hide the corset ridge, a corset-cover was worn between the corset and outer garments. 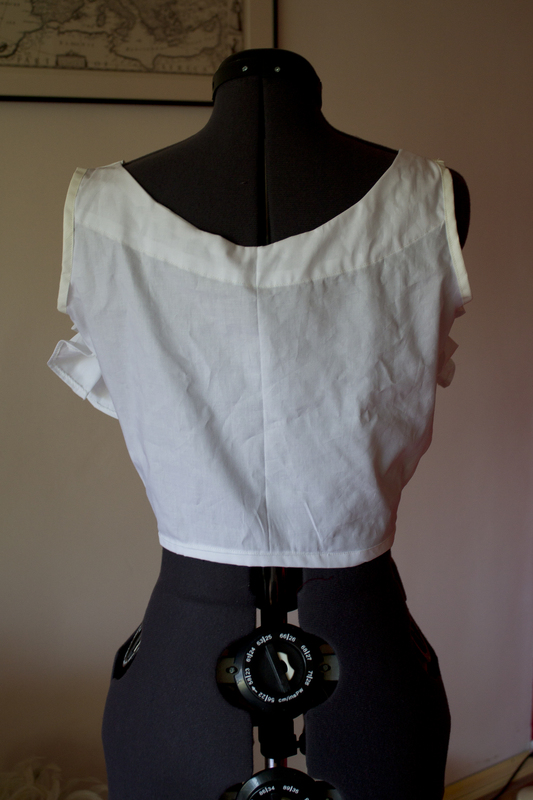 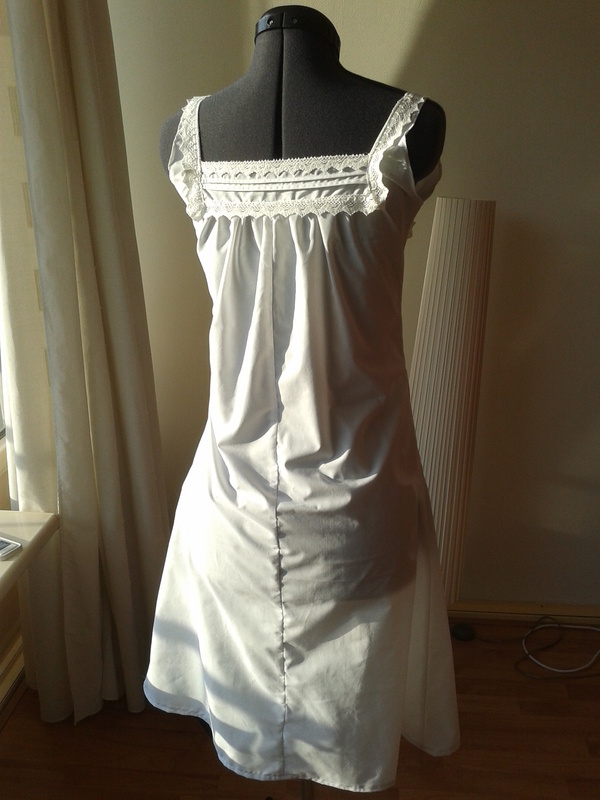 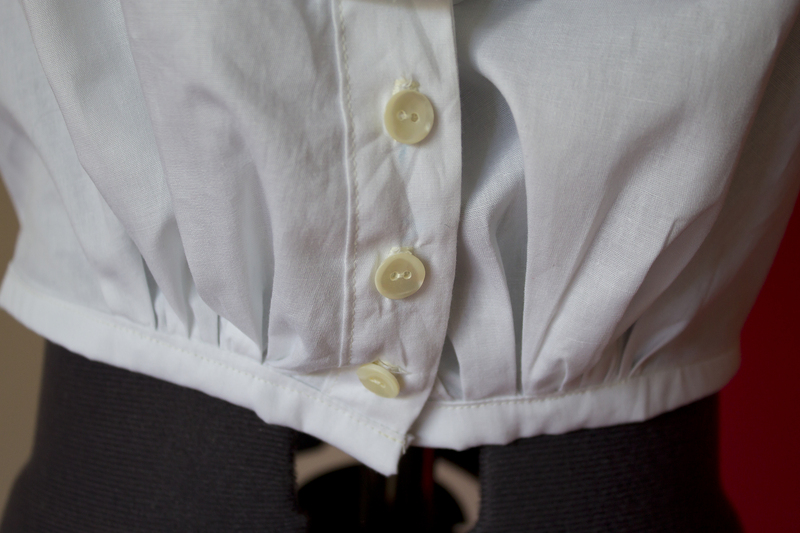 As I’m planning to make a sheer(ish) blouse, it seemed like a good plan to make a corset cover as well. 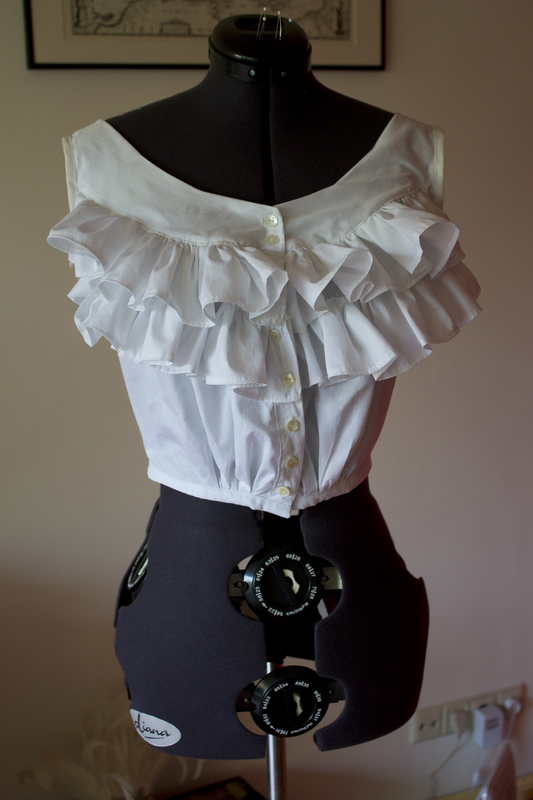 It has ruffles, moreover, which helps achieving the pigeon-breast silhouette. 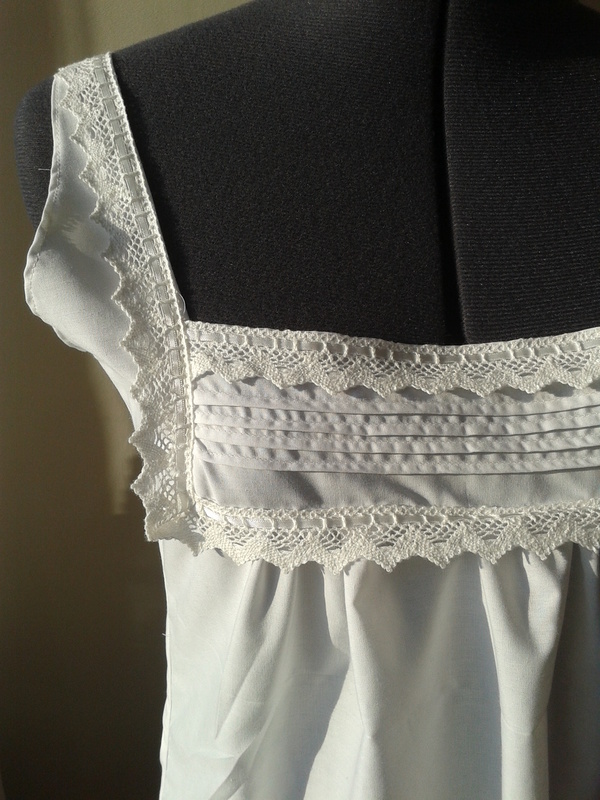 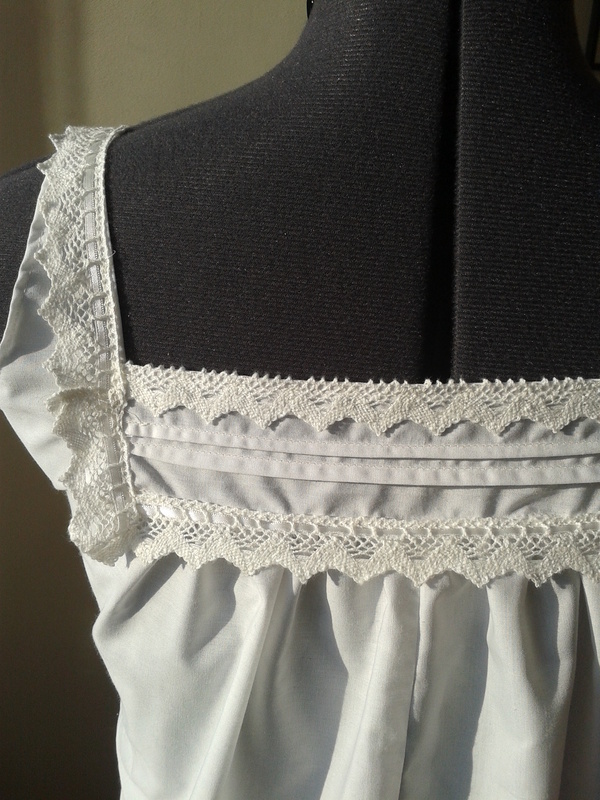 I used the Truly Victorian Edwardian undergarment pattern, it worked great! 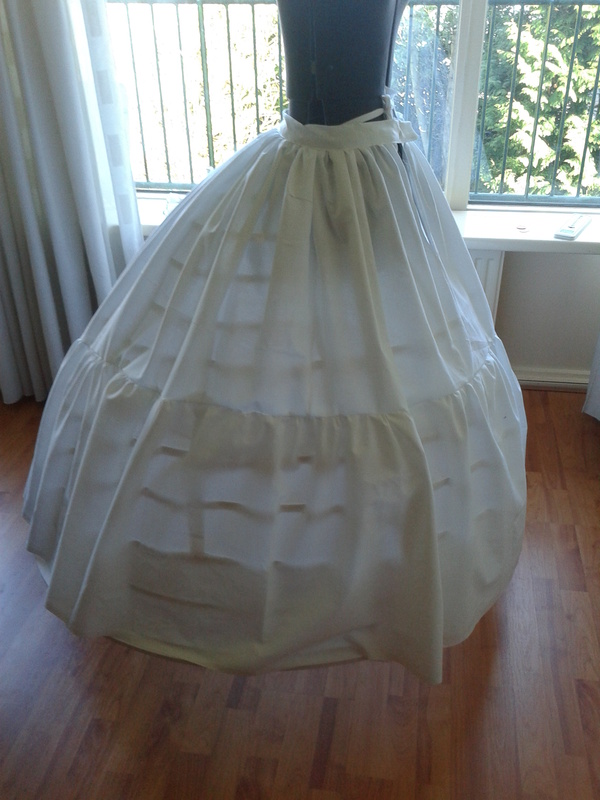 I made this up very quickly, and the instructions were great. 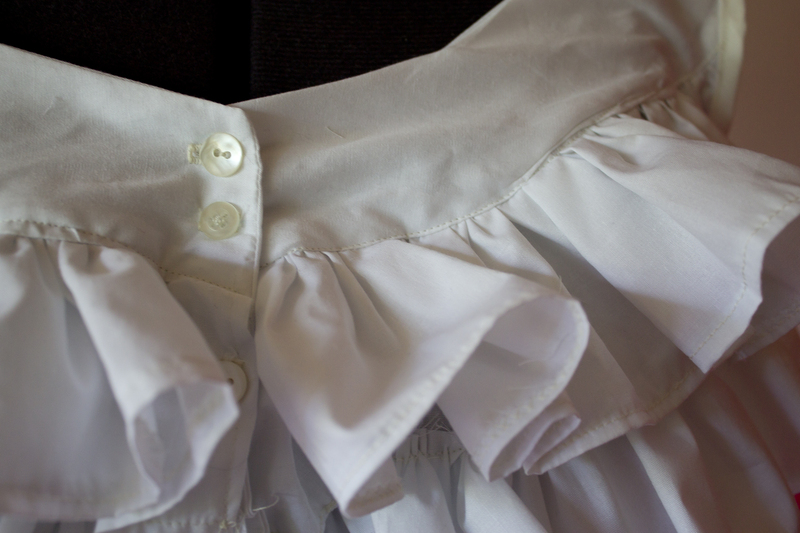 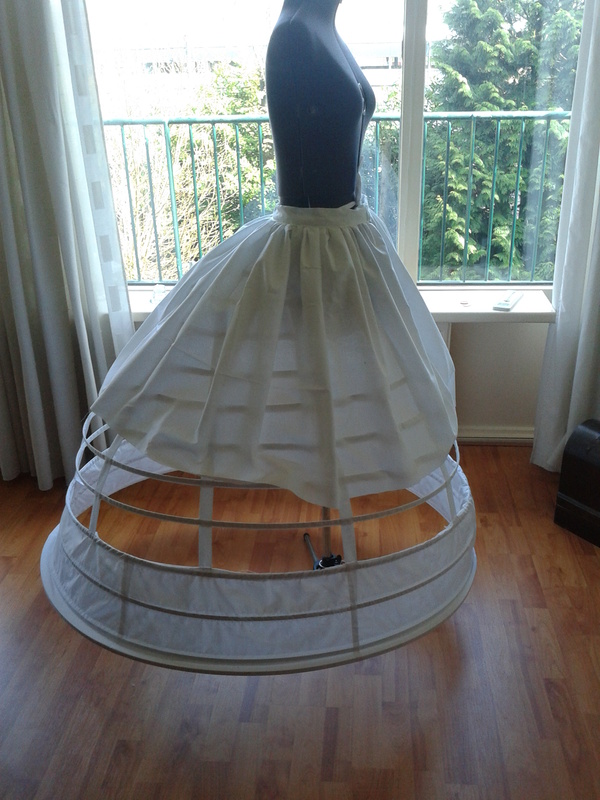 Next-up: Drawers and petticoat!